Vicious Imagery: Two of my students are made of win! Two of my students are made of win! 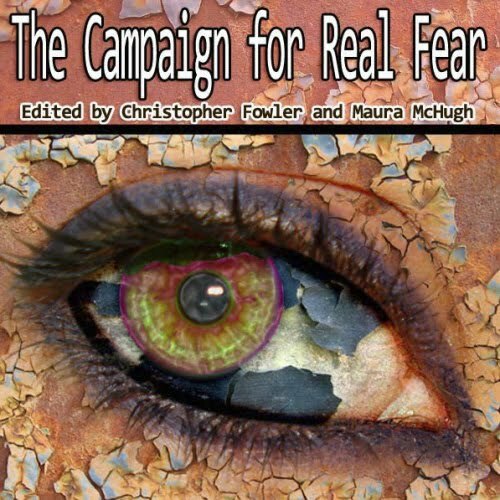 The Campaign For Real Fear short story contest has announced its 20 winners from among the many, many entries. Among the names is Christina Koh, a student on the Creative Writing MA course I help teach at Edinburgh Napier University. Her story Hounded will be published by Black Static magazine and also gets released as a narrated audio story [see proposed cover]. Congratulations, Chris! Also on the list - another student from the course, John Fagan, a winner for his story Infected With Death. Congratulations to John! So that's two of our MA Creative Writing cohort among the top 20, a win ratio of 10%. I'm liking how that sounds. The Campaign For Real Fear was set up by Christopher Fowler and Maura McHugh to promote new terrifying fiction that reflects the diversity of 21st-century life. They originally planned to have only ten winners, but the standard proved so high they extended that to 20 [with seven honourable mentions]. You can see the full list of winners and find out more about the contest here. David, I only noticed that both Christina and John were in the same Creative Writing class after we had selected the winners - we were basing our choice on the writing after all. Bias against horror on the Creative Writing MA at Edinburgh Napier University? I think not! We heart genre, one of the things that makes our course unique. A 10% hit rate at the course makes me want to enroll - as Maura said, the best entries won, simple as that. Congratulation Chris. Your dream is coming.